Storytelling applies to nearly everything we do. Everybody uses stories, from educators to marketers and from politicians to journalists, to inform, persuade, entertain, motivate or inspire. Storytelling becomes an even more powerful tool when it taps into our emotions. We are all storytellers to some extent. Do you remember the last time you have told a story to your friend, family member, colleague or a stranger? What it was about? On the Emotive Twitter and Facebook accounts we often share interesting resources, articles and topics related to storytelling. Here we would like to share with you a number of interesting factsheets, offered as ‘a free resource for storytellers and those wishing to promote storytelling events’ by the Society for Storytelling. 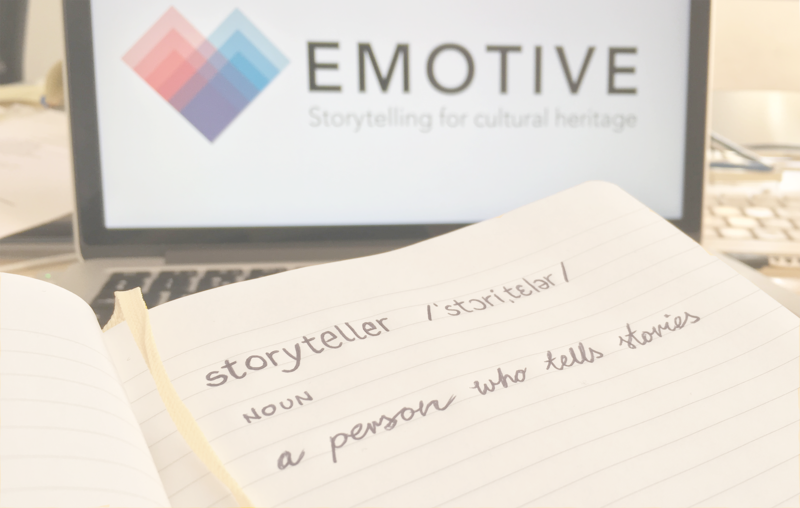 Our top picks, closely related to our work at EMOTIVE, are ‘Using Storytellers in Museums’ and ‘Advice to Storytellers working in Museums’. The first factsheet has been compiled by Tina Bilbé (Society for Storytelling) and includes contributions by Emily Johnsson (Museum of London) from her handbook Telling Tales: A guide to developing effective storytelling programmes for museums. It covers a variety of topics and provides answers to most common questions raised by the museum community, such as: What is a storyteller? Why tell stories in museums? What can a storyteller do for a museum? The second factsheet includes a great number of tips and advice from museum professionals and storytellers themselves. Have a look at the full list and see what you can find to help you improve your storytelling skills, organize an event or simply learn how to tell a story!